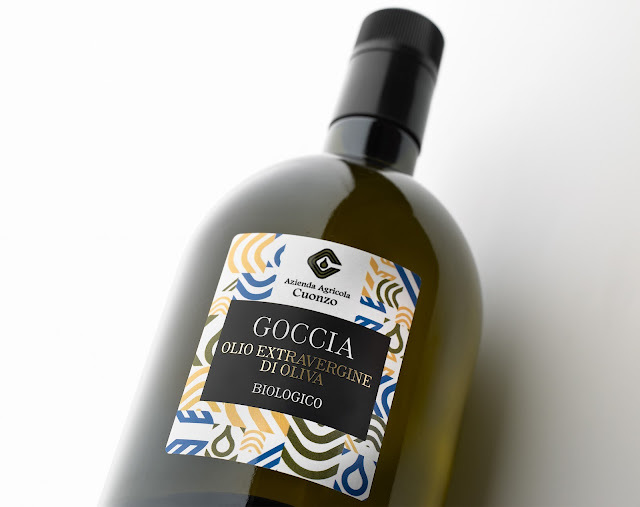 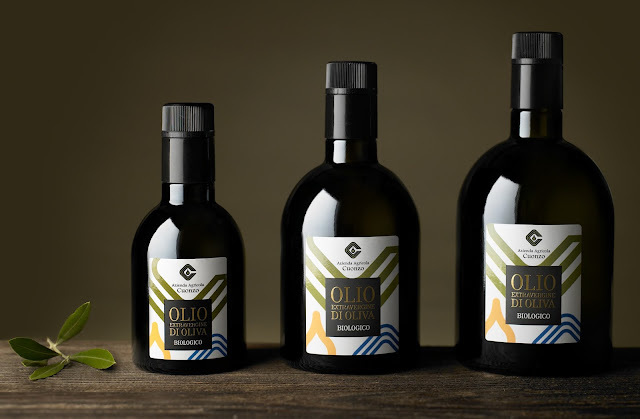 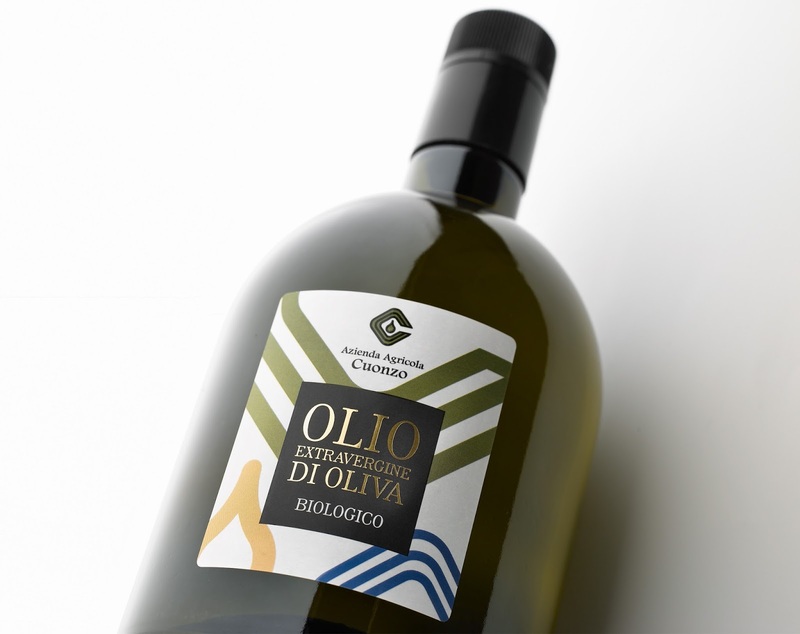 Contemporary stylistic code and modern and elegant appeal for the packaging project of Organic Extra Virgin Olive Oil of Azienda Agricola Cuonzo. 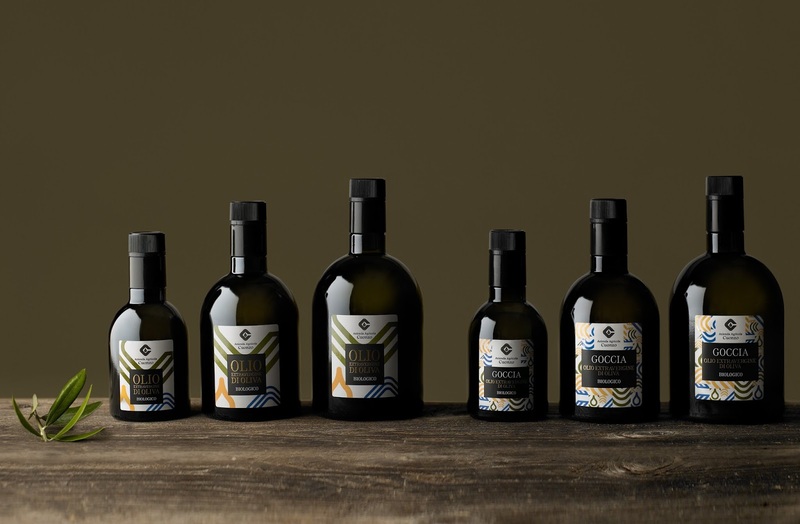 The goal of the project is to combine a strong boost to innovation with a long tradition of craftsmanship, quality and links with the territory. 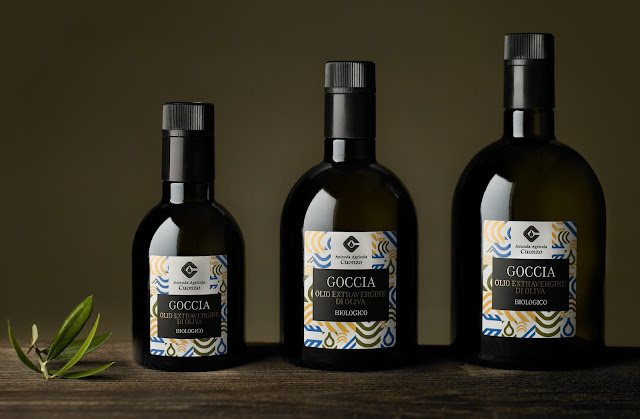 Company logo is the keystone of the design concept, it has been broken down, deconstructed and rearticulated for becoming distinctive and memorable graphic motif of the new brand image. The selected bottle has a soft, enveloping and reassuring shape that balances a strong instance of modernity and uniqueness. The project involved all company products: the traditional Organic Olive Oil and the special and precious Organic Olive Oil, Goccia. Typographic choices, as the game of contrasts between matte and glossy paint and gold foil in the heart of the labels, embellish the project.